The Soyuz with Europe’s Metop-B weather satellite is now on the launch pad at Baikonur Cosmodrome, where it is being readied for liftoff on September 17 in a mission performed by Arianespace’s Starsem affiliate. This medium-lift workhorse rolled out in the morning hours today at the Cosmodrome in Kazakhstan, and was raised into position on the launch pad by its rail car transporter/erector. 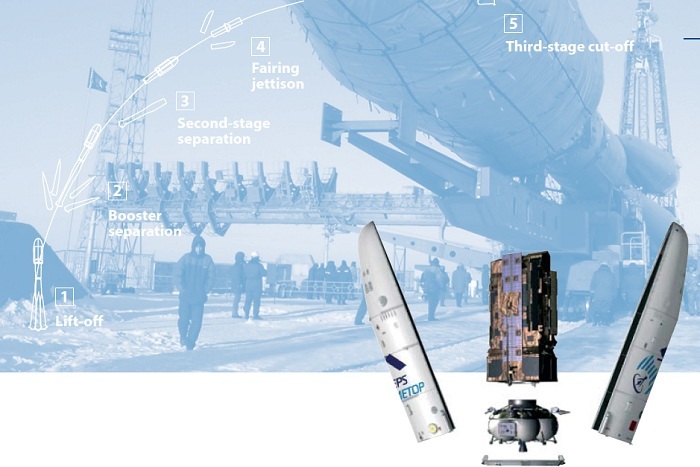 With this major step completed, the pre-flight activities that follow include checkout and countdown rehearsal for Soyuz’ lower three stages, a countdown rehearsal for the Metop-B payload and the launcher’s Fregat upper stage, then the final chronology leading to liftoff at 10:28 p.m. local time on Monday. The mission will last 1 hr. 9 min., with Metop-B being deployed into a Sun-synchronous orbit at an altitude between 800-850 km. 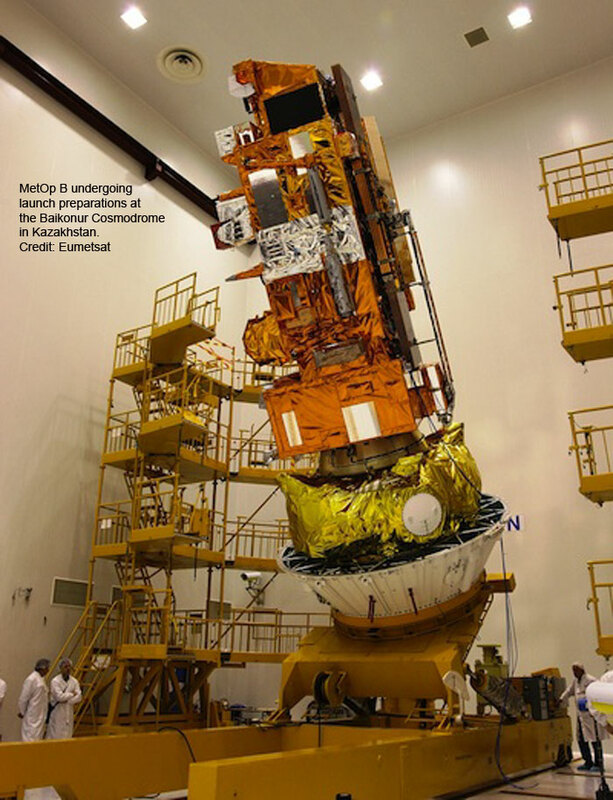 Metop-B – which has a liftoff mass of approximately 4,085 kg. – is the second in a series of dedicated polar-orbiting meteorological spacecraft to be operated by EUMETSAT (European Organisation for the Exploitation of Meteorological Satellites). These platforms are procured on behalf of EUMETSAT by the European Space Agency from an Astrium-led European industrial consortium, and they include instruments delivered by the French CNES space agency, as well as the U.S. National Oceanic and Atmospheric Administration. Arianespace and its Starsem affiliate have played a pivotal role in the deployment of EUMETSAT satellites, which enable weather and climate-related satellite data, images and products to be provided around the clock. 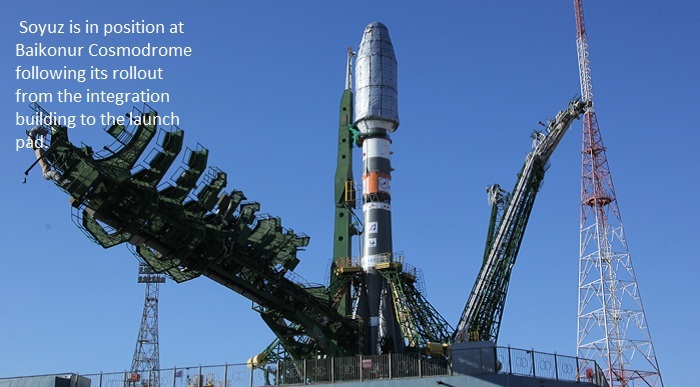 Following Metop-B’s launch by Soyuz, it will join the nearly identical Metop-A spacecraft lofted by Starsem in October 2006 on another Soyuz mission from Baikonur Cosmodrome. Europe’s newest meteorology satellite, Metop-B, was launched today from Baikonur Cosmodrome in Kazakhstan by the Starsem affiliate of Arianespace. Lofted by a Soyuz launcher, this spacecraft is the second in a series of polar-orbiting spacecraft in the Meteorological Operational satellite program (Metop) – joining Metop-A, launched by Starsem aboard another Soyuz from Baikonur Cosmodrome in October 2006. 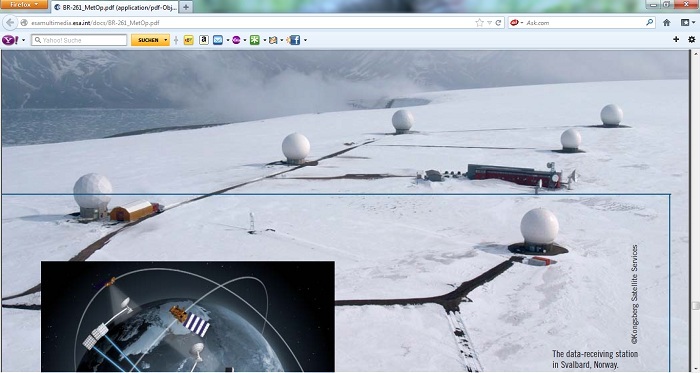 These satellites are Europe’s first operational meteorological platforms in polar orbit, and they constitute the space segment of the EUMETSAT (European Organisation for the Exploitation of Meteorological Satellites) polar system. This system delivers data for numerical weather prediction – the basis of modern weather forecasting – along with climate and environmental monitoring. 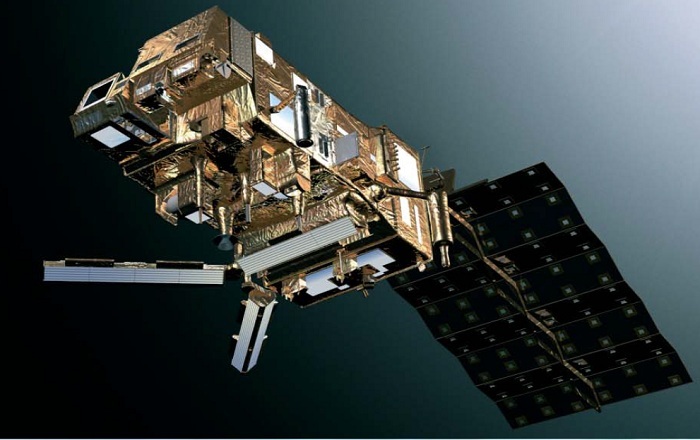 The Metop spacecraft are procured on behalf of EUMETSAT by the European Space Agency from an Astrium-led European industrial consortium, and they include instruments delivered by the French CNES space agency, as well as the U.S. National Oceanic and Atmospheric Administration. Today’s liftoff occurred at 10:28 p.m. local time from Baikonur Cosmodrome’s Launch Pad #6. During the mission, Soyuz’ re-ignitable Fregat upper stage performed two propulsive burns separated by a coast phase of approximately 45 minutes, followed by Metop-B’s release into a Sun-synchronous orbit. The mission was designated ST25 in Arianespace’s numbering sequence, signifying the 25th flight performed by the Starsem affiliate since beginning its operations in 1999. It utilized a Soyuz 2-1a version equipped with the ST-type fairing sized at an external diameter of 4.1 meters and a length of 11.4 meters. Arianespace and Starsem have established a track record of success during missions with EUMETSAT weather spacecraft, including the 2006 Starsem launch of Metop-A. Most recently, Arianespace orbited the no. 3 spacecraft in Europe’s Meteosat Second Generation (MSG) series – Meteosat-10 – on an Ariane 5 flight in July 2012. This followed launches of the initial two second-generation MSG spacecraft: Meteosat-8 and Meteosat-9, performed in August 2002 and December 2005, respectively. Since 1981, Arianespace has orbited a total of nine Meteosat-series weather satellites.